Mona's grandmother Sitti lives on the other side of the world. Even though they don't speak the same language, they find a way to communicate and become very good friends. 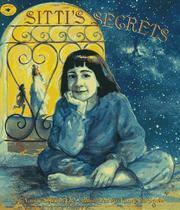 Nye, Naomi Shihab, “Sitti's secrets,” Children's Picture Book Database at Miami University, accessed April 22, 2019, https://dlp.lib.miamioh.edu/picturebook/items/show/8760.